Two-thirds of all cars stolen in the state of Michigan are stolen in Wayne County, which has not quite 20 percent of the state’s population. “It’s astounding, those figures,” said Pete Kuhnmuench, director of the Insurance Institute of Michigan, an industry advocacy group. Michigan also has the seventh-highest percentage of uninsured motorists. And there’s the simpler fact that, in urban settings, there are more drivers to run into, and more of those drivers are likely to be uninsured. To Kuhnmuench, insurance is a dispassionate business, even as it arouses ire in those who have to buy it. Rates have to be actuarially justified, and are a matter of calculating risk, predicting how likely you are to need your insurer’s services. Sen. Bert Johnson isn’t laughing. A resident of Highland Park, a small, poor city surrounded by Detroit, he pays $6,000 a year to insure his 2005 Jaguar. He sees insurance reform not only as a matter of justice for poorer people, but also thinks it would lift a barrier to voting for those burdened by high urban rates. The Insurance Institute of Michigan reports the average Michigan auto-insurance customer pays $1,073.52. Kuhnmuench said his group does not calculate separate figures for individual urban areas, due to wide disparities between insurers' quotes and discounts. The state of Michigan also does not provide data on city-level averages. Reform of Michigan’s no-fault auto insurance system was one of Gov. Rick Snyder’s policy priorities laid out in his State of the State address this January, and he signed an executive order creating a new state Department of Insurance and Financial Services the following day. But no-fault reform is unlikely to offer particular help to Detroiters, whose problems are based in the city’s own. But the biggest obstacle to relief may be assumptions, based on anecdote and word of mouth. The state’s rate survey, based on 2008 data, is simultaneously both one of the state’s most popular documents, and one of its most inaccurate. Estimates of what different typical customers would pay for typical coverage may be correct for some companies, but not for others, because of different methodologies used in calculating rates, said Catherine J. Kirby, of the Michigan Office of Financial and Insurance Regulation. The new guide will be a worksheet, for customers to figure out all the factors that can be turned into discounts on auto insurance. Of course the rates are high, and they should be. Drive in Detroit and you have to be constantly aware of people who do not understand that yellow means stop if safe, who do not understand what a red light or that octagonal red sign means, and who would rather text than drive while propelling their smashed up monster down the streets. As a risk manager that straddles Michigan and Indiana, I can assure that auto insurance rates in Michigan are outrageous. The cause (outside of Detroit) is the result of Michigan's no-fault insurance and the catastrophic claims coverage that adds $175/yr to every insured vehicle, including motorcycles. The pricing structures created by the insurance companies are also arbitrary and capricious. Additionally, Michigan should ban the use of credit scores as a factor in determining rates as this negatively affects a broad range of people that otherwise pay their bills, but simply have a lower rating for any number of reasons. One example I always share with insurers is if I insure a vehicle for a mid twenties son or daughter the average cost is about $1000/yr (with them as the principle driver); if they were to insure it on their own, the average cost is almost $2000; but the risk to the insurer is the same. 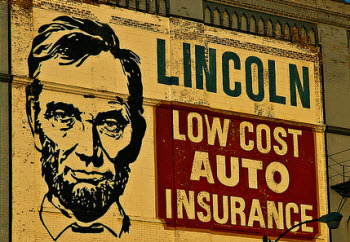 In Michigan, auto insurance is a disaster for the consumer. Mike, Are you sure that there is the same risk for a person on their own policy and someone who is on another person's policy? You don't believe that parents do have influence over their children or that they don't excert pressure on their children to drive safely because they don't want their insurance rates rising? In many cases, albeit anodotal that people are much more willing to take risks when they don't precieve their actions will directly affect those around them. I wonder if the accident rates are actually better or the same for children (of similar age) that are on their own policy then for those on their parent's policy. They aren't any less expensive in Northern Michigan. People in Detroit are poor. The rich pay less for auto insurance. That's because when you are rich you have paid drivers taking you around. Where is the fairness in that? Some people can sacrifice there entire life working hard to catch that lucky break that never happens. Therefore they suffer why Corporate America strikes again in punishing the middle class and making them pay more then there fare share. Slavery is back for the less fortunate this time around.